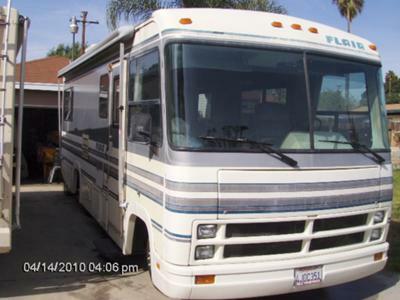 I have 1993 flair 25' class A RV and looking for manual to find out where the fuses are located because my panel light does not work. First a quick tip on finding the fuses for your panel lights. You may find a fuse block under the dash of your motorhome. The fuse block could be located on the driver's side or the passenger side. As far as the Owner's Manual; the first place to start when looking for an Owner's Manual for any RV is to contact the company that manufactured your RV. In your case you should Contact Fleetwood RV and see if you can get an Owner's Manual through them.